Now superstar video game designer Hideo Kojima has gone indie, he’s faced with running his own studio. And what a studio it is. 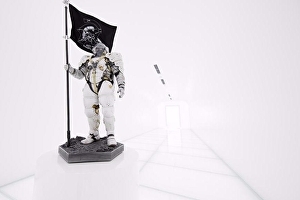 Overnight Kojima unveiled the new Kojima Productions office in Tokyo, Japan – and it is fancy indeed. Courtesy of pictures published to the , we can check out the entrance to the office, which comes complete with astronaut / samurai flag holder man. 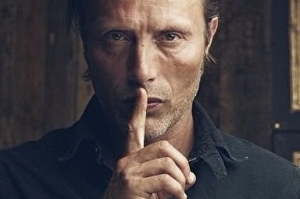 Hannibal actor Mads Mikkelsen appears to have a role alongside Norman Reedus in Hideo Kojima’s mysterious PS4-exclusive Death Stranding. Not much on its own, right? But then a fan of Mikkelsen posted the following of himself with the Danish actor wearing the same orange hoodie with a grey lining. Konami has announced the next Metal Gear game. 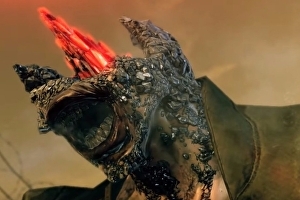 Metal Gear Survive is due out for PlayStation 4, Xbox One and PC via Steam in 2017. It’s the first game in the series following Metal Gear creator Hideo Kojima’s exit from the company. Konami describes Survive as a brand new four-player co-op stealth game “that takes a divergent look” at familiar Metal Gear themes. You can say one thing about Hideo Kojima: he certainly knows how to make an entrance. The superstar developer strode out onto Sony’s E3 stage like a rock star – and was greeted by the sort of welcome usually reserved for returning war heroes. Which, in a sense, he is. The unheralded, unexpected appearance midway through the platform holder’s press conference marked the end of Kojima’s post-Konami exile and his first major public engagement since his newly-formed Kojima Productions studio joined forces with Sony. Kojima has never been one to recoil from the glare of the spotlight, of course, but you sense there was more to this than mere indulgence or grandstanding. 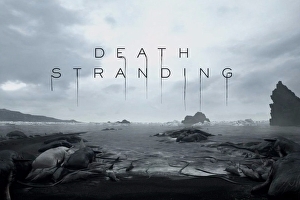 If nothing else, Hideo Kojima’s newly unveiled Death Stranding was the most baffling thing at E3 this week, its short teaser packing in a whole world of enigma as it introduced the PlayStation 4 project from the director’s new studio. As is often the way with Kojima’s work, there’s a purpose to the enigma – and the Metal Gear Solid creator is in no rush to clear up any of the mystery. What we do know is that Death Stranding will be an action game, with the player controlling Norman Reddus’ character. As to how it’ll play, Kojima’s made reference to Japanese author Kōbō Abe – a writer whose nightmarish surrealism earned him comparisons to Franz Kafka – and his missive about ropes and sticks. “The first tool mankind made was a stick. It was made toto keep away bad things. It’s a weapon,” “The next tool created by mankind was rope. The rope is not to keep away bad things. On the contrary, it’s a tool used to keep good things close to you, to tie good things close to you. Sticks and ropes are some of the tools most used by mankind even these days. The exciting Sony-Hideo Kojima partnership has produced fruit: a new game called Death Stranding. It stars Norman Reedus from The Walking Dead. 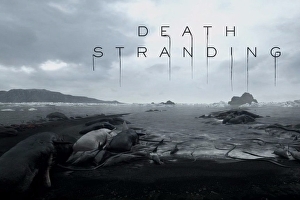 Death Stranding was unveiled at E3 by Hideo Kojima who introduced an unsettling trailer he said was running in real time. 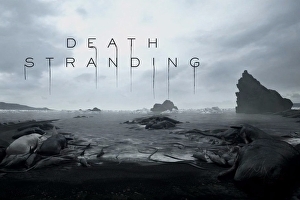 In the trailer, the camera pans across a beach, showing a dead crab – fittingly for the 10th anniversary of Sony’s Giant Enemy Crab E3 episode – and then a body, Reedus’ body. He’s naked and handcuffed, and near him lies a baby. He picks the baby up but it disappears. Okay, let’s cut straight to it – of course there’s not an all-singing, all-dancing brand new Metal Gear Solid video game coming from Konami this year. After all, we’re still waiting for them to finish the last one. But! , there is coming from the company that’s due in Japan this autumn, and it’s taking its cues from Snake Eater, perhaps the most revered of Hideo Kojima’s long-running series. A new trailer for the machine reveals some all-new cutscenes – or, at least, old ones reimagined in an all-new engine, with characters such as The Boss and The End getting a new lick of paint. 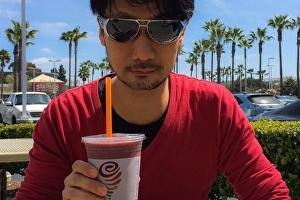 Hideo Kojima famously left Konami late last year after a turbulent time around the launch of Metal Gear Solid 5: The Phantom Pain, and having established an all-new Kojima Productions he’s across the globe as he assembles his own team. Konami, meanwhile, recently , so still looks to be in the business of console gaming. As for a proper new Metal Gear, well that’ll likely have to wait. If you’re a pachinko fan, though, today must be a happy day. 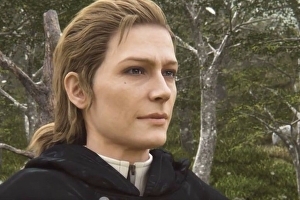 Since Hideo Kojima’s contract with Konami ended on December 16th, the director has embraced freedom with the unmistakeable gusto of the recent divorcee. with Hollywood actors and directors in exotic locales, interspersed with photographs of plates of expensively arranged food. After 25 years cooped up at Konami, with all of its corporate strictures and sign-offs, Kojima is relishing liberty. The exact nature of Sony’s relationship with the Kojima Productions is unknown – although the fact that the studio’s first game will be a PlayStation 4 exclusive indicates that serious money is involved. “It’s an arrangement that’s come from years of working together, which has built trust,” he says at an earlier roundtable. “It’s not normal for our industry.” Details remain scant. Kojima claims that the new project is a “previously unknown type of game.” Beyond that, he is keeping the exact location of the studio’s premises in Tokyo a secret, and will not say how many staff are currently employed for fear that a competitor – or jealous ex, no doubt – is stalking them.